Adobe Acrobat and Reader are prone to a security-bypass vulnerability. Attackers can exploit these issues to bypass certain security restrictions and perform unauthorized actions; this may result in gaining elevated privileges. Adobe Acrobat and Reader are prone to multiple heap-based buffer-overflow vulnerabilities. Successfully exploiting these issues allows attackers to execute arbitrary code in the context of the affected application. Failed exploits will result in denial-of-service conditions. Adobe Acrobat and Reader are prone to multiple information-disclosure vulnerabilities. 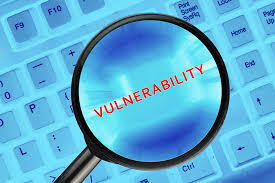 An attacker can exploit these issues to gain access to sensitive information that may aid in further attacks. Untuk teman semua, harap untuk melakukan update adobe acrobat reader nya segera, cara nya buka adobe acrobat reader - pilih menu "Help" - Pilih menu "Check For Update"